Cornish striker Trebilcock began his career with Tavistock and also played for Wadebridge Town before his goalscoring exploits brought him to the attention of Argyle. After a superb start to his Home Park career he struggled until the arrival of Frank Lord to play alongside him. Even then his form was inconsistent and it was during a period out of the team that Argyle were surprisingly contacted by Everton regarding a transfer. Within 24 hours his three-year stay at Argyle was over and he made his Everton debut a few days later. An injury saw him miss most of the remainder of the season but he recovered in time to play in the FA Cup semi-final after the first-choice striker was ruled out. Trebilcock kept his place for the Final and ensured himself of legendary status at Goodison Park by scoring twice as Everton came back from a two-goal deficit to beat Sheffield Wednesday. Eighteen months later, having played just fourteen games for the club, he was sold to Portsmouth where he spent a fairly successful four years. 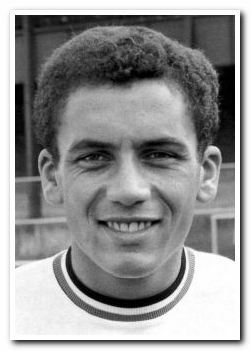 He ended his career with a stint at Torquay United before emigrating with his wife and two children to Sydney, Australia in 1974, to become player-coach for Western Suburbs. He later coached in Darwin and then moved to a remote farming community north of Cairns. Mike's wife had passed away during this time and in a visit back to the UK for the 50th anniversary of Everton's 1966 FA Cup win, he came to Plymouth and reunited with his childhood sweetheart after 52 years apart - she too was also recently bereaved. That charming life-story resulted in Trebilcock returning to the UK, marrying his first love and settling back in Tavistock. He was a guest of the club and performed the half-time draw on the pitch before Argyle's emphatic 6-1 win over Newport County in April 2017, which sealed promotion to League One.